Roberto Firmino scored the winner off the substitutes’ bench as Liverpool dominated Paris Saint-Germain on their way to a 3-2 victory at Anfield. Less than four months on from their disappointment in Kyiv, the Reds were back in Champions League action as they welcomed PSG to Anfield. Both sides headed into their Group C opener with 100 percent records for the season so far, with the English and French giants tussling for early superiority on the continent. Jurgen Klopp made two changes to his side from Saturday’s 2-1 victory at Tottenham, while Thomas Tuchel restored both Kylian Mbappe and Neymar to his starting lineup among three alterations. With the home crowd roaring them on, Liverpool will have been confident of taking the advantage on Merseyside. And on a wet night in the city, they made sure they did just that. 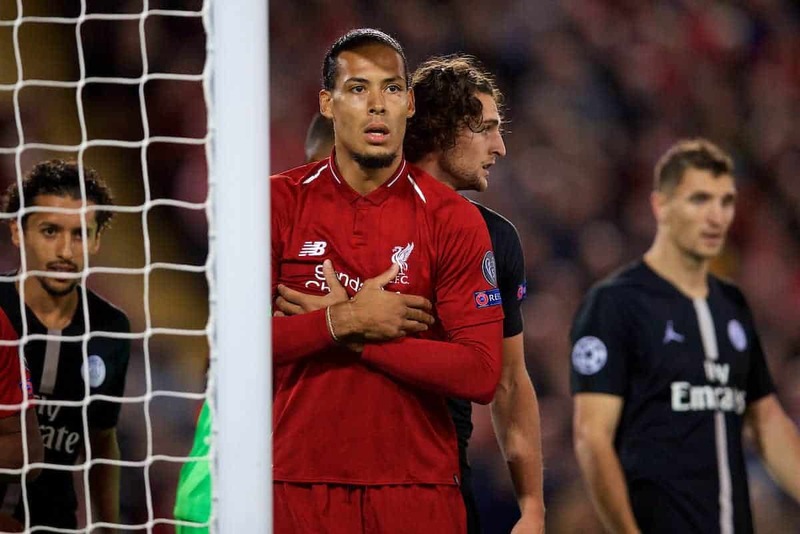 Both sets of supporters provided a brilliant backdrop to a fierce start to the game, with Virgil van Dijk drawing a good save from Alphonse Areola after James Milner‘s cross. The Reds had the upper hand early on, targeting Areola from an array of corners, with the goalkeeper clearly highlighted as a weakness. Joe Gomez went close with a looping header from one of those set-pieces, before Alisson made a double stop to deny Edinson Cavani and Neymar, with his composure between the sticks very encouraging. Liverpool’s opener eventually came from open play, with Daniel Sturridge rewarding Klopp’s faith as Firmino’s stand-in as he headed in Andy Robertson‘s brilliant cross on the half-hour. The incredible Milner grabbed a second soon after, with Gini Wijnaldum tripped in the penalty area by Juan Bernat, allowing the vice-captain to step up and convert the spot-kick. It wasn’t a perfect start, however, as Thomas Meunier reduced the deficit with a hooked effort five minutes from half-time. Neither manager made any changes at the break, and Liverpool maintained control in the early stages of the second half, with Salah alternating as the central forward. 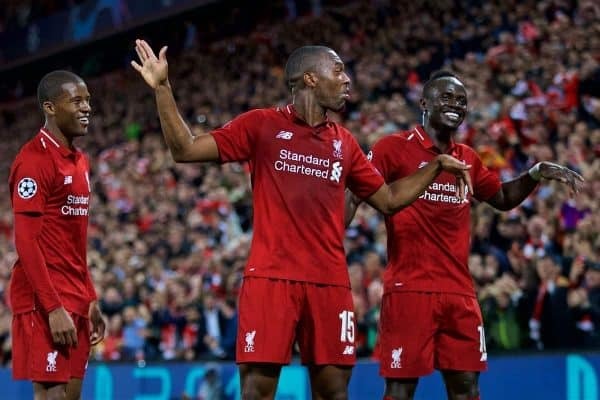 The Egyptian had the ball in the back of the net before the hour after Wijnaldum’s shot took a deflection, but the referee belatedly ruled the goal out after Sturridge slid in on Areola. Sturridge should have grabbed his brace minutes later, however, with a brilliant cross arrowed towards him from Trent Alexander-Arnold, but the striker was unable to get enough power on his header. 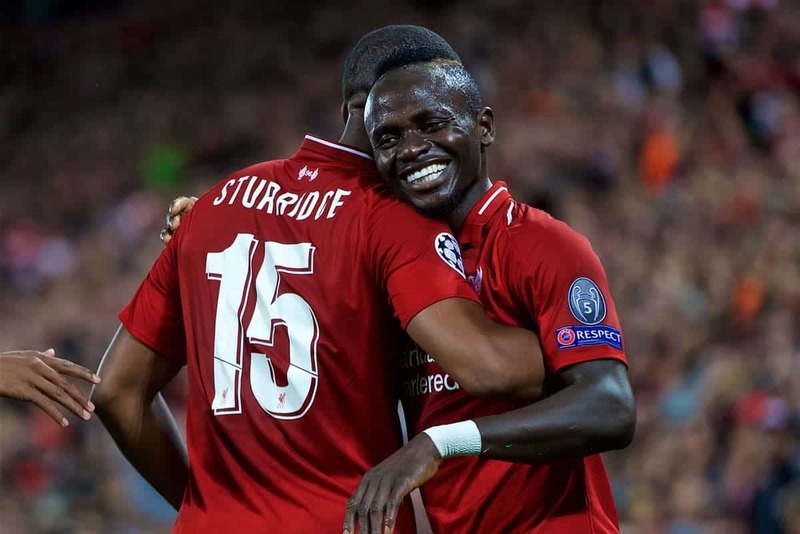 With Liverpool firmly in control with 20 to play, Klopp opted to withdraw Sturridge and send on Firmino in his place, restoring his first-choice front line after a fine display from the 29-year-old. Sadio Mane fired the ball across the face of goal after great work down the right flank, and PSG almost immediately headed up the other end of the pitch for Mbappe to net the equaliser. Klopp responded by replacing Salah with Xherdan Shaqiri, but it was another substitute, Firmino, who stood up, danced past the PSG defence and fired home a brilliant late winner.